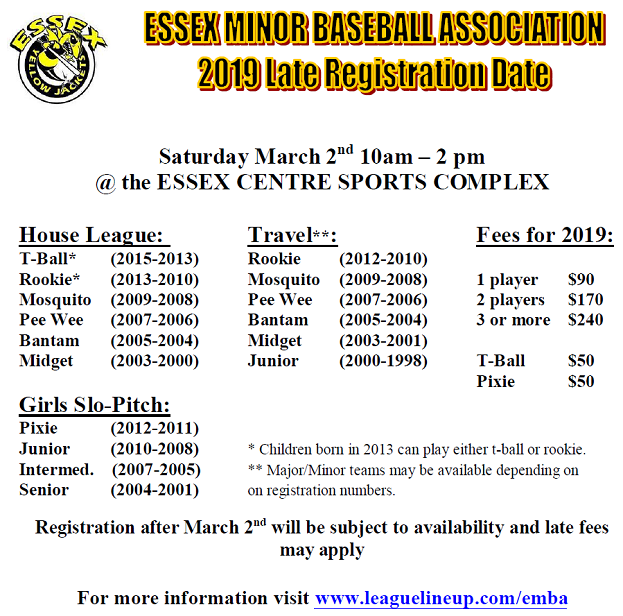 "TO SEE MORE ON PAST WINNERS CLICK HERE"
If you have missed the March 2nd registration you can go to Accurate Creations located at 41 Talbot Street North in Essex. To fill out our contact form and someone will contact you. The Town Of Essex has implemented a new phone system that will be used to communicate if a diamond is "Closed" or "Open". 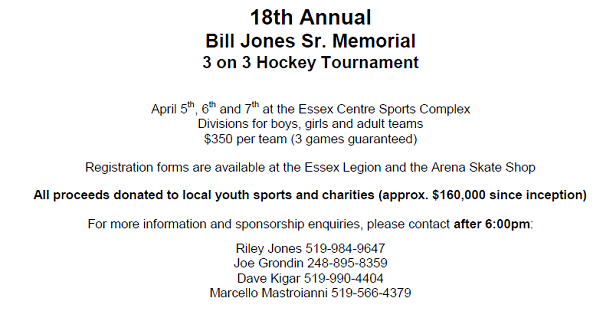 To find out the status of the diamonds please call 519-997-2499. Please Note: The Town will continue to display "OPEN" and "CLOSED" signs on the diamonds as well. If you see nothing in regards to the diamonds being closed assume they are open. As the town changes it's diamond status we will do our best of keep the website up to date at the top of the website. We appreciate your patience on days where the weather doesn't cooperate. 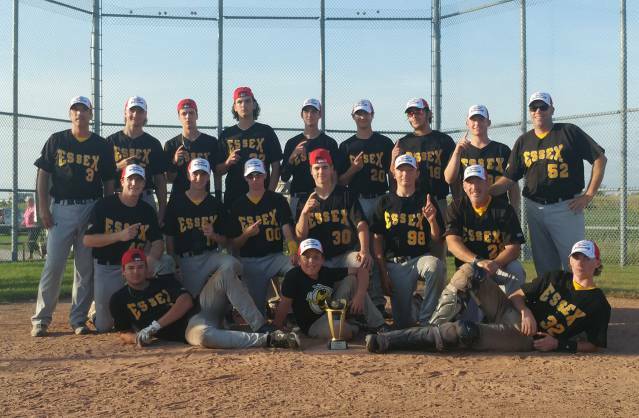 MIDGET MINOR TEAM WINS "AA BASEBALL ONTARIO GOLD MEDAL""
Left to right, front to back. 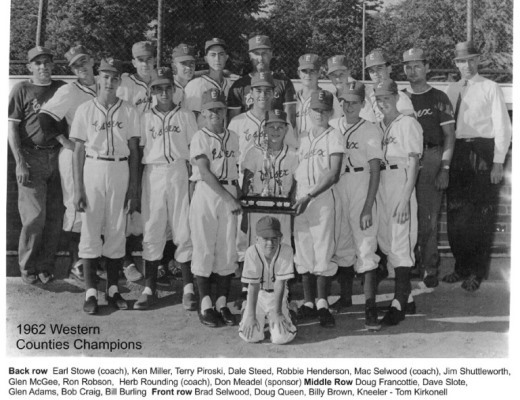 The Mackie Jones, Trevor Benoit, Eric Wright, Jackson Ford, Steven Debergh, Hunter Rivest, Liam Hall, Jon Kopcok, Coach Dave Kigar, Coach Glen Harnadek, Isaac Glos, Blake Harnadek, Devin Decaluwe, Josh O’neil, Zach Mann, Jack Benoit, Jacob Canji, Coach Mike Rivest. 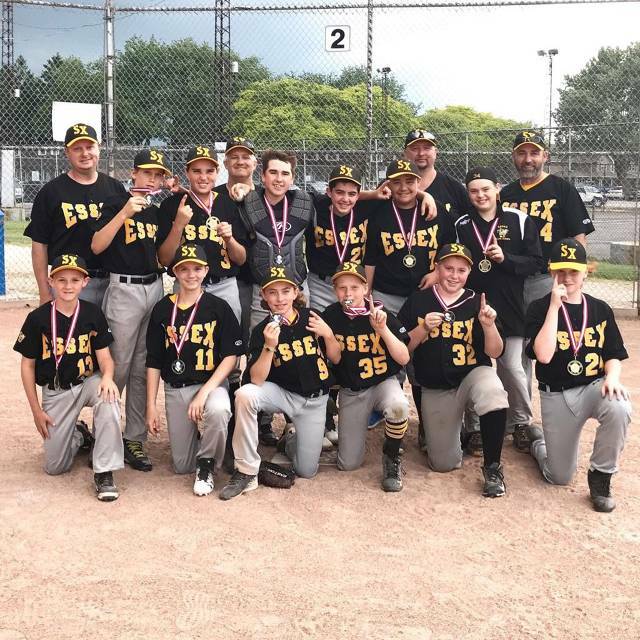 Essex went 5 & 1 on the weekend, losing to Bolton 9 – 1 and beating Erindale 12 -2, Ancaster 8 – 3, Leaside 10 – 2, Halton Hills 6 – 5, and Barrie in the Championship game 2 – 1. 5 Provincial Championships overall. 4 Provincial Championships in a row. 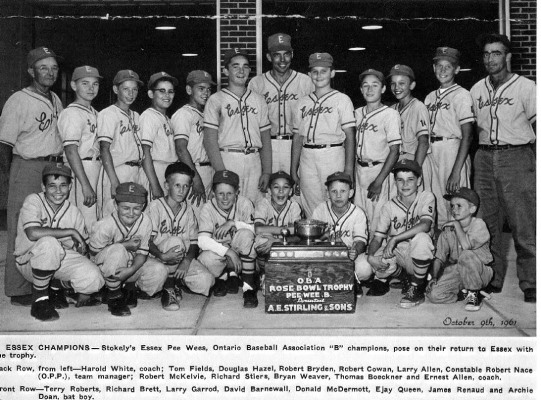 PEEWEE TEAM WINS "BASEBALL ONTARIO SILVER MEDAL"
Almost A Winner Winner Chicken Dinner! 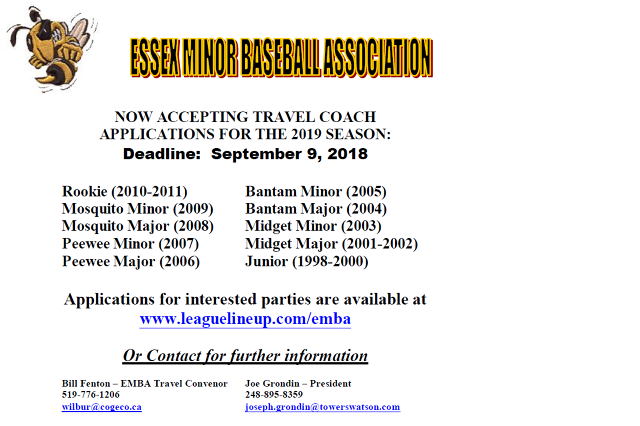 "BANTAM TEAM GETS INTO THE SEMI FINALS AT BASEBALL ONTARIO CHAMPIONSHIPS"
JUNIOR TEAM WINS "AA BASEBALL ONTARIO SILVER MEDAL"
The Essex Midget Minors travelled to Michigan to play in the EMU Midsummer Classic. Essex faced some tough pitching and hitting, but held their their own against the Michigan teams. 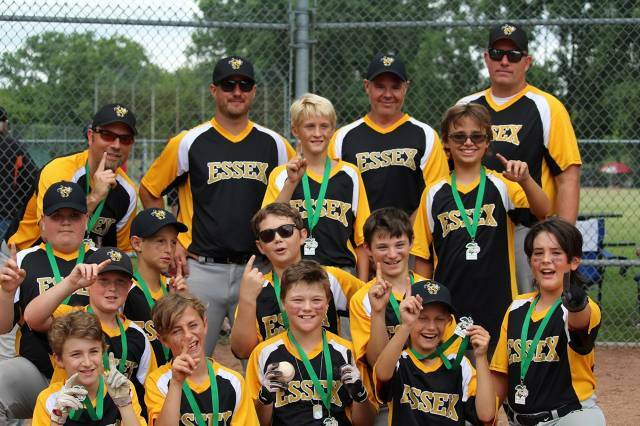 Essex went into the finals undefeated, but unfortunately lost 6-3 in the Championship game. 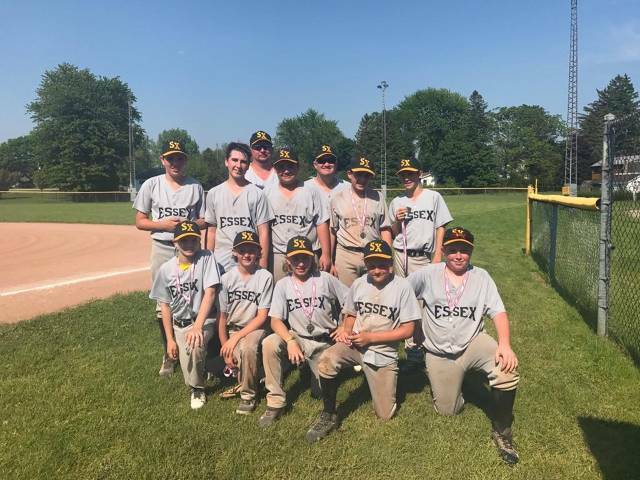 The Essex Yellow Jackets Peewee team went 5-0 to win the A/AA 2018 Rob and Tricia Morneau Memorial Baseball Tournament (13 July - 15 July). They outscored their opponents 59-24. 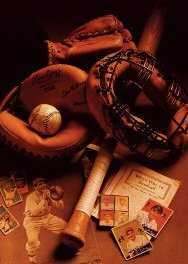 Pitching and hitting was awesome. Great job boys on winning your third tournament so far in 2018. 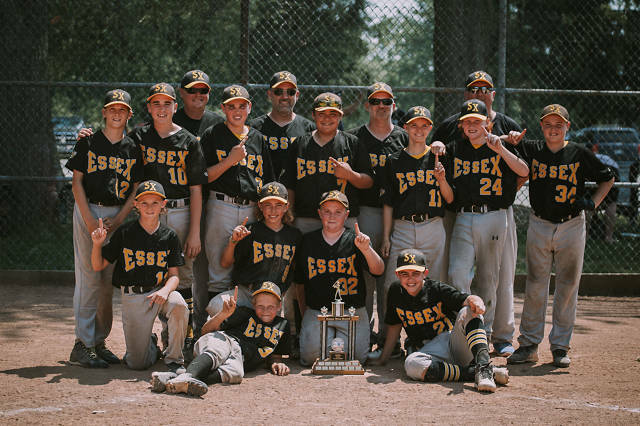 Congratulations to the Essex Mosquito Major team for going undefeated in 3 games to win the 2018 Ralph Hall/Jack McCart Classic in LaSalle. The boys brought some incredible hitting, great defence and pinpoint pitching to this tournament to outscore their opponents 55-6. Essex Mosquito Minors Travel Team sponsored by Direct Electric Services Ltd. 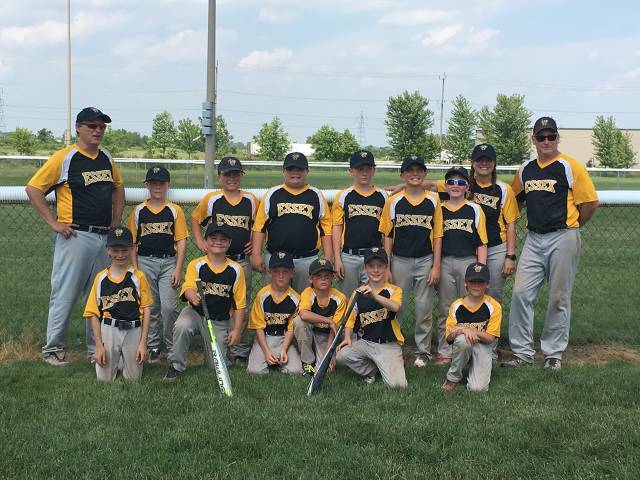 The team travelled to Stratford, Ontario – June 15th – 17th to participate in the SMBA Jack Grasby Memorial Minor Mosquito Tournament. The first game the team started slow giving up 8 runs in the 1st. The club never quit and fought back to within striking distance but fell 11-9 to the Mitchell Astros. 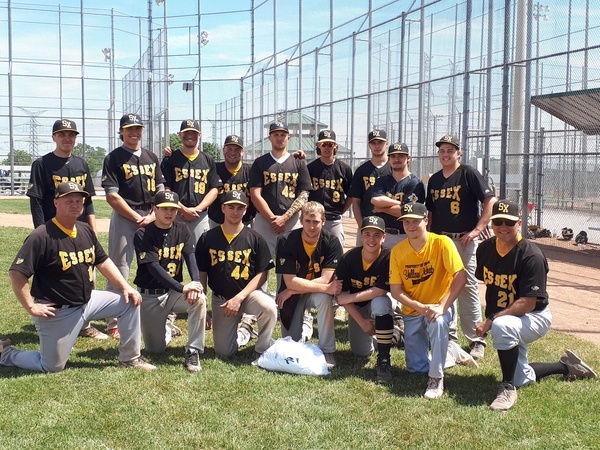 The team bounced back and went on a 3 game drive beating Sarnia 17-10, Waterloo 31- 8 and WOBA 7-6 in a tight Semi-final match-up. 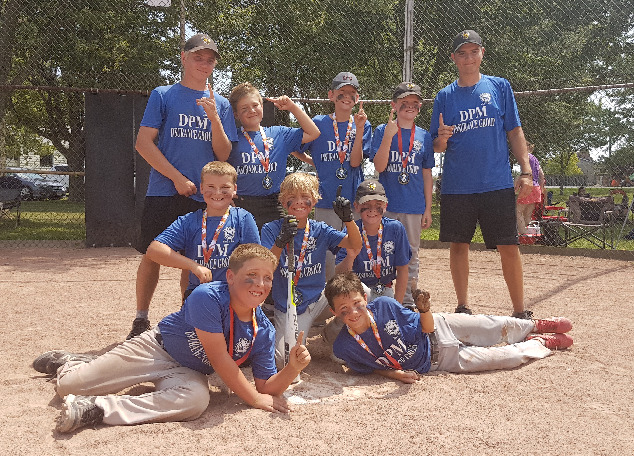 In the finals the team met the Stratford Mosquito Minors who were undefeated through the tournament. The Mighty Jackets fought hard but could not upset the hosting club on their home turf. Congratulations on a great weekend boys. Hold your heads high it was a huge success for this incredible team. 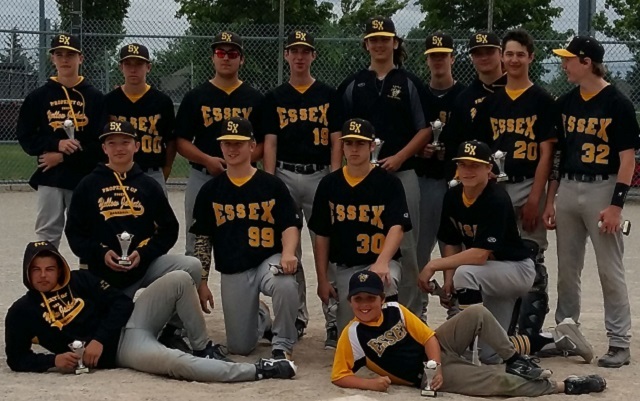 MIDGET MINORS WIN THE "A TREVOR BARTON MEMORIAL TOURNAMENT"
Congratulations to the Essex Midget Minor team on going undefeated and winning the London Badgers "A" Trevor Barton Memorial Tournament on June 8 - 10 weekend. 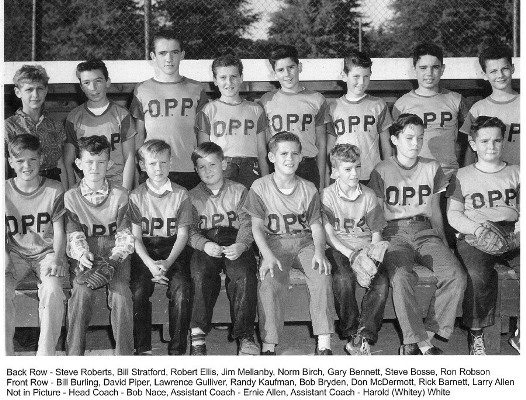 They went undefeated, beating Milton, Kitchener, Brampton and Markham (twice) Outscoring opponents 45-6. 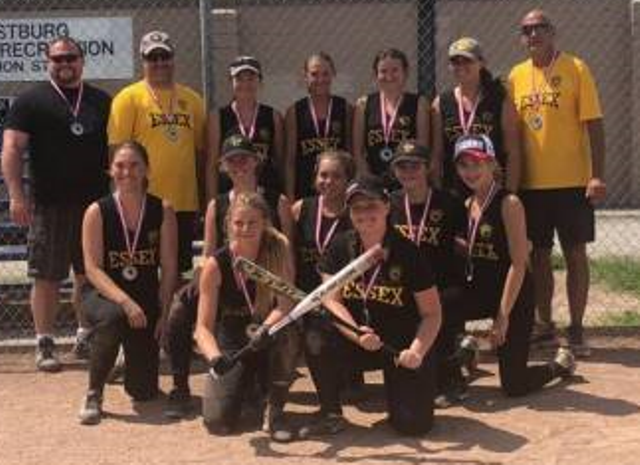 JUNIORS GO TO THE FINALS AT THE VAUGHN "AAA TOURNAMENT"
Congratulations to the Essex Junior team on going to the finals of the Vaughn Tournament on the June 8 - 10 weekend. CLICK ON THE PICTURES ABOVE TO SEE MORE HISTORY! 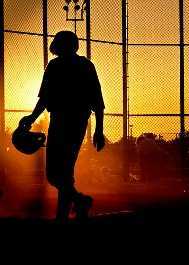 Visit www.leaguelineup.com/embagirls and give us some feedback as we try and improve the baseball experience in our community.